It’s all well and good to hit the major tourist traps during your trip to Hawaii, but it can also be nice to visit some of the more unusual places that most visitors don’t even know about. One of those places is Glass Beach on Kauai, a place where the sheer abundance of sea glass is astounding! “Sea glass” is physically and chemically weathered glass found on beaches along bodies of salt water. These weathering processes produce natural frosted glass. “Genuine sea glass” can be collected as a hobby and can be used to make jewelry. It takes the ocean about 10 to 30 years to create it, and the resulting fragment is a frosted, jelly bean-like pebble. Glass Beach gets its name from the tiny weathered glass pebbles that line its shore. When I was looking for places to find the best sea glass in Hawaii, one place kept coming up: Glass Beach on Kauai. According to Kauai Beach Scoop, Glass Beach isn’t mentioned in most guidebooks, and there are no signs directing drivers to it, but it can be a bonanza for collectors of sea glass. The shoreline of Glass Beach is covered with millions of brown, aqua, clear and blue sea glass pebbles. 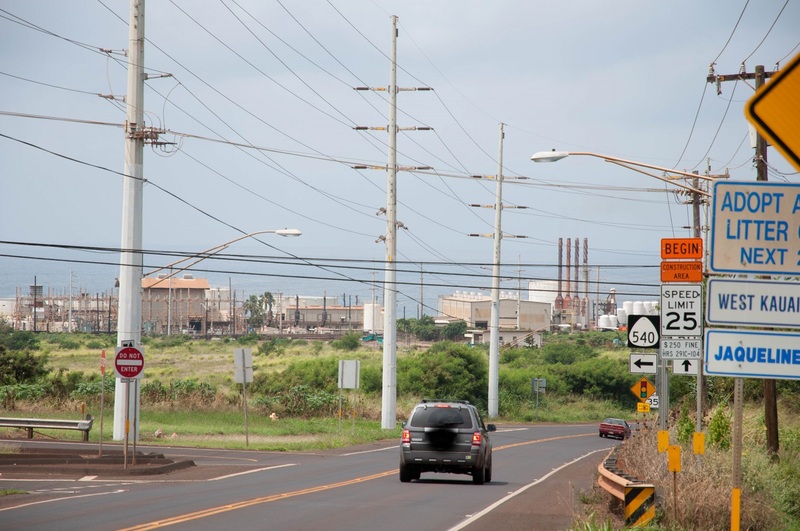 Kauai’s Glass Beach is located in the middle of an industrial area near Port Allen Harbor in Eleele. This beach is easy to find, just look for the large tanks of gasoline near Port Allen. The website says that you’ll find lot of sea glass on this beach from old bottles, flasks, windshields and windows that has been smoothed by moving ocean water and time. The glass found at Glass Beach was mainly from broken bottles and auto glass dumped by Swiss Cheese Shoreline on the western end of Kauai. Most websites I checked referred to Glass Beach as a place for beach combing only. Most folks encourage visitors to leave the sea glass there for others to enjoy for many years. Please don’t take any of the glass, but instead leave it for others like you to enjoy for many years. 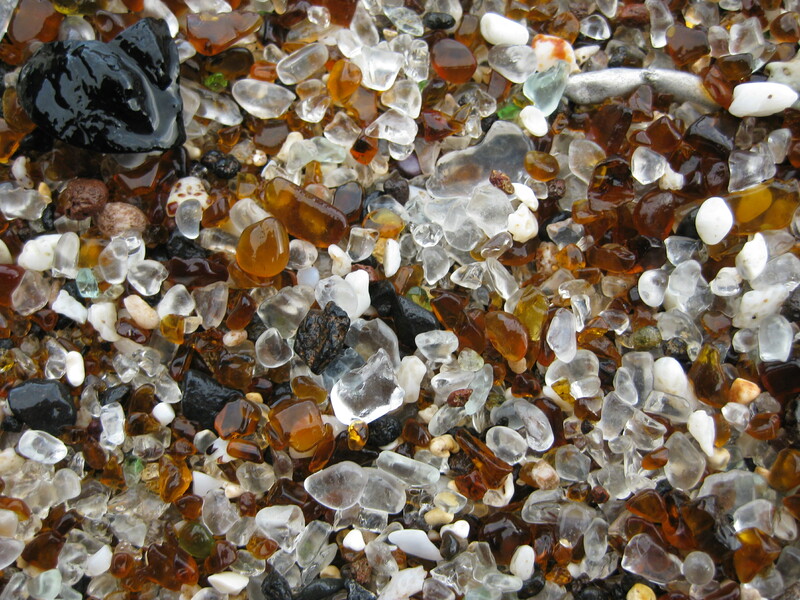 Glass Beach is easily found in Kauai's industrial town of Port Allen. If you’d like a guided tour of the beach, consider asking your guide when you book your Kauai Jeep Tour. If you let him/her know you’d like to pay a visit in advance, it’s likely you can add it to your itinerary. Because Glass Beach is kinda out of the way and unknown, you may be one of just a few visitors to the area. So, you’ll have lots of space and time to enjoy the hunt!